Specifications: Safety Laminated Architectural Glass with textured patterned glass on one or both surfaces. Available Thicknesses: 1/4”, 3/8”, 1/2”, 3/4”, 1”, 1-1/8”, 1-1/4”,1-3/8”, 1-1/2” and more. Contact us to request a custom thickness. Maximum Size: contact us for more information. Colors: Vivaldi textured laminated safety glass comes in the colors below. Custom color matching is also available. 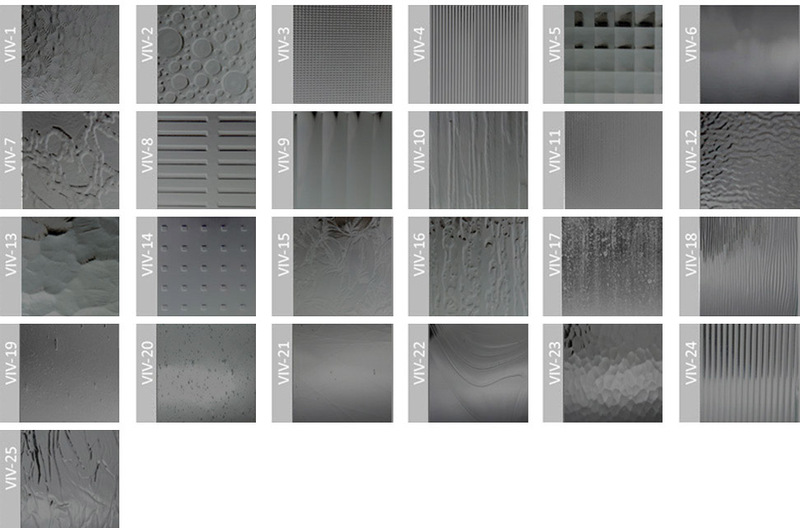 Please click on the color chart below to view color variations of our textured glass.